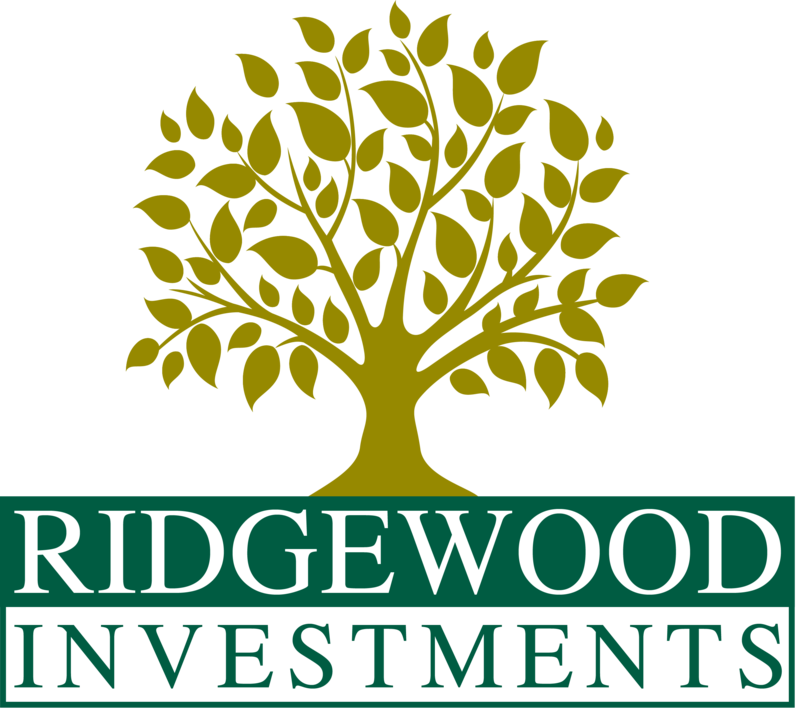 Ridgewood Investments is an investment advisor offering money management services to clients looking for an intelligent, long-term approach to investing. We work with a variety of clients including affluent individuals, retirement plan sponsors, and other advisors. Our solutions can be customized to meet the individual requirements of our clients but are based on the timeless principles of intelligent investing. At Ridgewood Investments, emphasizing thoughtful, long-term money management advice is the core foundation of what we provide our clients. Our investment managers have a passion for investing, with a particular emphasis on value and dividend focused strategies. Our core approach is to create long-term focused portfolios built to compound our investors' capital through disciplined adherence to sound strategies. In most cases, these portfolios form the core foundation for our clients’ investment programs. In addition to our core equity offerings, we often supplement our internally managed investment offerings with other strategies and low-cost third party funds, in order to deliver a comprehensive investment offering individually tailored to each client. We do this by working with each individual client to devise a long-term investment strategy that best suits their specific needs. Once the investment plan is implemented, we work with each client to provide ongoing monitoring and adjustment to the investment plan as needed. In addition to the specific investment strategies we offer, we realize that affluent individual investors increasingly face a wide range of wealth management issues, problems and opportunities. As a result, we work with our clients to provide sound guidance on related areas, including family wealth management, retirement planning, charitable giving and tax related issues, often by working in coordination with best-in-class outside advisers like lawyers and accountants. Our approach is to work with each client to make sure their specific needs are met, either through services we provide directly, or through partnering with third party providers. As with money management, thoughtful and objective advice from advisors implementing proven principles and watching out for your long-term interests can sometimes be difficult to find. "Fear has a far greater grasp on human action than the impressive weight of historical evidence"
Employer sponsored 401(k) and 403(b) retirement plans are the major vehicles for individual retirement readiness in the United States. In an era of defined contribution plans that place the onus on employees to save for retirement, employees and officers need intelligent solutions. To successfully achieve retirement goals, employees and officers need access to plans that combine the best available investment options to achieve long-term compounding of their investment assets. Many 401(k), profit sharing, and deferred compensation plan options widely available today are suboptimal. This can happen because many plan providers offer highly limited investment options. In other cases, they may offer more options but provide little in terms of guidance to plan participants. There are multiple causes for these issues and Ridgewood Investments has devoted itself to advising our plan sponsors to take a number of steps to significantly improve their retirement plans. Ridgewood Investments offers our clients extremely attractive, often lower cost options for plan sponsors wishing to establish new plans or upgrade the quality of their existing plans. In addition to 401(k) and 403(b) retirement plans, Ridgewood has significant experience in managing Defined Benefit Pension Plans. A defined benefit pension plan allows high earning business owners to set aside much more money for retirement than the typical IRA or 401(k). In the right circumstances, defined benefit plans help successful business owners achieve maximum retirement contributions and tax savings and can be particularly powerful when combined with Ridgewood’s expertise in compounding investments. The best way to learn if our approach could help you transform your own results is to chat with us about your own unique situation. Our investment reviews are comprehensive and informative. Whether or not you decide to work with us, we guarantee that you will come away with some actionable ideas and strategies that you probably didn’t know about.